What milk options do I have flying with my toddler? I came across this photo today and was reminded of that brief period of time, after nursing/formula, when my son John was still very dependent on milk. I was about to take a flight with him, and was trying to figure out the best milk options for flying. I searched online for tips but didn’t find any. I reached out to another family travel blogger, Keryn Means of Walking On Travels, because her two boys are just a little older than John. She hadn’t written anything yet on this topic of the best milk options for flying, so I offered to research more and write a post for her blog. 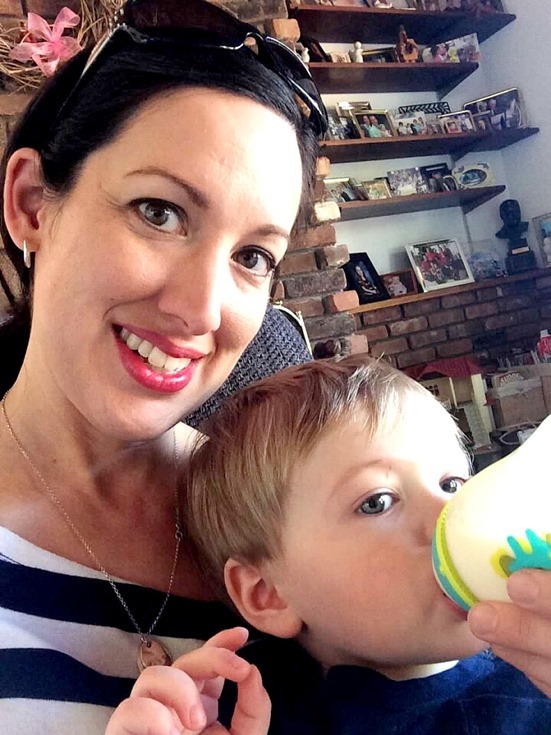 Formula, milk boxes, reusable containers, airport vendors, airline…Click here to read about my choice of milk options when flying with toddlers. This picture was taken on Mother’s Day and I was supposed to be working as a flight attendant but after a reassignment that had me working into Mother’s Day morning, I was able to be home in time for brunch. Sometimes reassignments work out for the best. Not usually, but sometimes!